WHMIS is Canada's national workplace hazard communication standard and information is provided to the public entirely for free. However, this does not mean that you will not be able to find what you need to be able to ensure you are compliant with WHMIS for free. Ensuring that your workplace complies with WHMIS is required by law. This means you must be confident that your entire staff can answer questions and perform appropriate safety protocols about every hazardous material or procedure they work with on the job. Successful WHMIS training can mean the difference between life and death, and that is why it is required by the Canadian government. The Canadian government does not govern the implementation of WHMIS training or issue a standardized certificate in WHMIS. However, Health Canada requires that employers develop, implement, and maintain a worker WHMIS education and training program. Canadian legislation states there is a legal responsibility for employer's to educate and train employees. The method of training is completely at the discretion of the employer. Appropriate and qualified training that ensures your company is compliant with WHMIS can take many forms. It is up to the employer, in conjunction with Health Canada's representative, Occupational Health and Safety, or any other local jurisdiction in place to be confident that safety standards are in place. A WHMIS certificate that indicates completion of a WHMIS education program is not issued or required as a standard by the Canadian government. Certificates are issued by training service providers. Regardless of how employers find, deliver, or implement their choice of WHMIS education and training, it is the employers responsibility to legally prove that WHMIS has been sufficiently implemented in the workplace to ensure the protection of workers and the public. Qualified WHMIS providers with training courses that include testing and issuing a WHMIS certificate charge a fee for their services. The WHMIS system with its many elements, lists of controlled products, material safety data sheets, and more, has been extensively developed into communication materials that are intended to be as clear as possible. But both the sensitive subject matter and the sheer amount of information to cover can be challenging or even overwhelming. Many larger companies employ a safety officer who specializes in becoming extremely familiar with workplace safety to ensure they can have confidence that the entire body of employees has been guided through their WHMIS training proficiently. As an employer you are most likely looking for training for your employees that is easy and effective for them to take. In addition to the training materials and a testing process, you will need to have a way to track and store the information about when each person was trained and tested. This includes retaining a copy of employee test records and having the ability to produce these records if requested. It's worth mentioning that the cost of NOT having effectively trained employees with WHMIS knowledge is to be noted. There are potential traumatic consequences such as injury and loss of life, which makes this training so vital to employee and public safety. There is a measureable financial impact as well. The potential for property damage and financial loss to a corporate environment has consequences for productivity that are far-reaching for the entire company. Companies must endure and thrive in order to provide employment and positive social impact. Wise employers put safety first and avoid loss of life, jobs and profits. For contract workers and self-employed workers, you may want to have WHMIS training on your resume to make you more hireable while also ensuring your own safety when you are on the job. As an individual, you may be looking for WHMIS training or a WHMIS certificate to start a new job. Many employers even require that you have this training and will want to see some proof that you have completed the training recently, usually within the past year. They may want to know how you did the WHMIS training and with whom, so they can gage whether you have achieved your certificate through a credible training provider. Qualified WHMIS instructors and providers have spent the time becoming experts in Canada's national workplace health and safety protocols and WHMIS. They have combed through and familiarized themselves with what has the potential to be a challenging amount of information, and become fully certified to teach WHMIS. They've turned their expertise into a valuable service, developing training techniques that ensure the WHMIS information is as easy to absorb and retain as possible. They have proven reputations for being able to confidently equip workers to perform safely in the workplace. There are many options available for finding WHMIS education. Some organizations provide free WHMIS training as part of a job retraining program, and some associations offer a half day or all day WHMIS workshop. You can check in your local area for a WHMIS workshop that may be open to the general public. In general, the cost of face-to-face workshops with in-person training instructors are increasing there and there are less of these WHMIS training options available. More and more people and organizations are using training services that specialize in WHMIS and offer WHMIS training and testing fully available online. In an online WHMIS training system like SafeAndCertified.com, you can access everything you need to ensure you are 100% WHMIS compliant. Any updates to Canadian standards will never go unnoticed, catching you unaware that you are noncompliant. Online course delivery, as well as tracking progress and completion of what training modules each of your employees has completed, is managed for you in a user-friendly Admin portal where all your training records are stored electronically for you. For an easy solution to an important workplace requirement, SafeAndCertified.com gives you what you need to be able to prove that WHMIS training was provided, completed, and monitored. SafeAndCertified.com gives your employees a WHMIS certificate from a recognized training provider. This is the proof of learning and understanding that you need in hand, so that you and your employees can be confident that they are in compliance with WHMIS. 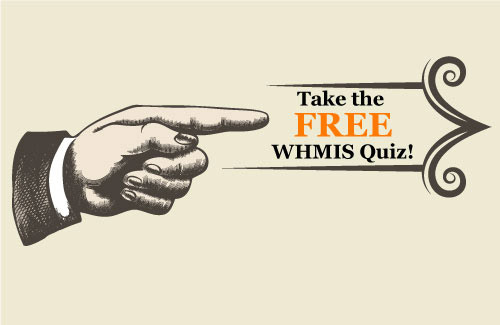 Home / Articles & Resources / Is WHMIS Free?